The exterior windows are Silverline brand, distributed by Robert Bowden, Inc. Silverline is an ENERGY STAR partner. Their windows reduce solar heat gain and minimize heat loss which keeps homes warmer in the winter and cooler in the summer. A full 100% of any scrap vinyl, glass, aluminum, or cardboard remaining from production is recycled and reused. Masonite, also partnered with Robert Bowden, Inc., is the manufacturer of the entry doors. Masonite’s ENERGY STAR rated Bellville® Smooth Fiberglass and Masonite® HD High Definition Steel Entry doors were chosen as the exterior doors for “The Green House.” The doors are fitted with low-E glass for additional energy efficiency. As for the air filtration system provided by Electrolux, they installed a Beam HEPA system. 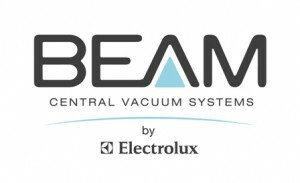 The BEAM HEPA Air Filtration System is the most efficient system that removes airborne allergens and other particulates from the home. The system is 99.97% efficient at removing airborne particulate 0.3 microns and larger. A micron is 1/300 the diameter of a human hair. The True HEPA media in BEAM Air Filtration Systems offers the equivalent of twice or two-and-a-half times the filtering capacity recommended by the nation’s leading green building programs.